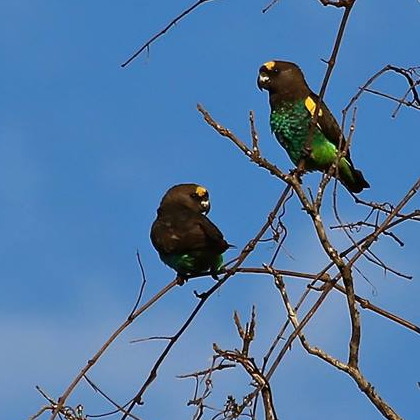 Discover Kafue National Park with our Kafue Explorer Safaris - from three day/two night to five day/four night itinerairies tailored to meet your needs. 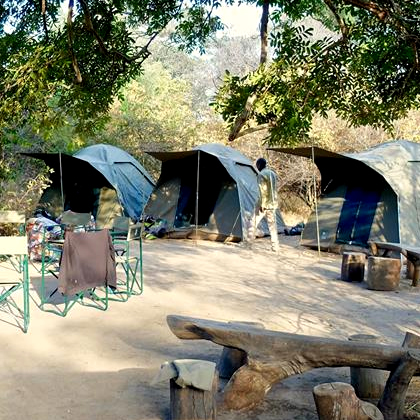 Example three day/two night mobile camp safari itinerary in the wildlife wilderness of Kafue National Park. Day 1 - Depart Livingstone 9.00 am. for Kafue National Park. Travel through rural Zambia, picnic lunch en route. 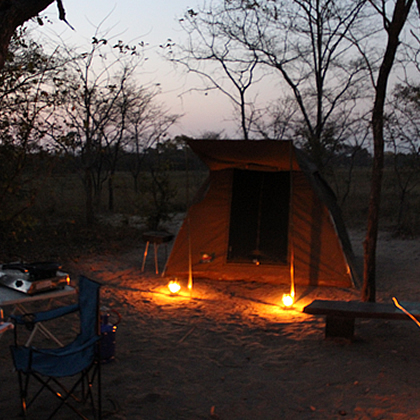 Enter Kafue game view to camp. Brief rest and snacks prior to afternoon game drive around Nanzila camp. Day 2 - Early morning tea coffee and snacks before morning game drive return to camp for brunch relax in camp enjoy a light lunch before an afternoon game drive we will stop for a sundowner before returning to camp using a spotlight searching for nocturnal animals another delicious meal before turning in. Day 3 - We start the day with tea and coffee re then head out on another game drive or an optional game walk we will return to camp for breakfast before returning to Livingstone arriving back in town around 15:00. 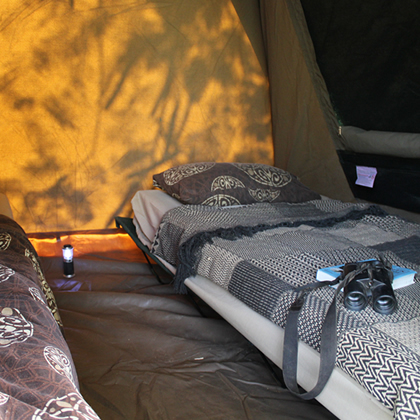 Example four day/three night mobile camping safari itinerary in the wildlife wilderness of Kafue National Park. Day 1 - Depart Livingstone 09.00 am for Kafue National Park. Travel through rural Zambia, picnic lunch en route. Enter Kafue. Game view to camp. Brief rest and snacks in camp prior to afternoon game drive around Nanzila camp. Day 4 - Time to head home. 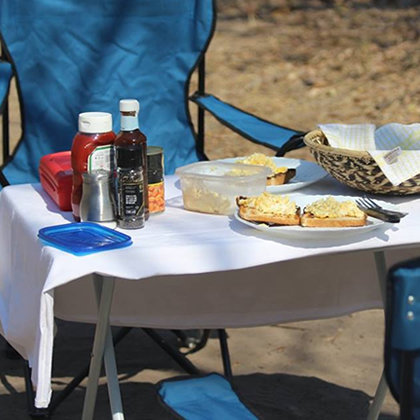 Early morning tea and coffee with hot bacon and egg rolls before our last game drive and return to Livingstone stopping en route for our last picnic arrive Livingstone 14:00 hrs where you will have earned a few drinks and maybe a relax by the pool. 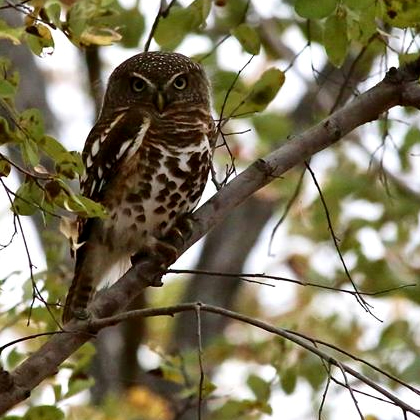 Interested in discovering Kafue with The Mobile Safari Company? 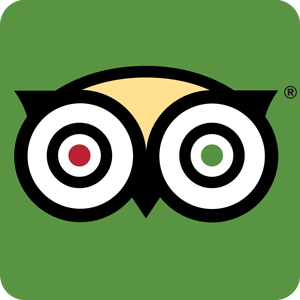 See our Rates page for more information.